Water is, without doubt, the most important substance on Earth. It covers approximately 71% of the Earth’s surface, and it makes up about 75% of the human body. Water is essential not only for the health and overall well-being, but also for the functioning of the human body. Without water there can be no life. It is clear that human beings need water and plenty of it too, but the question is which water is the best for human consumption and heath? Water can come from public supply and sometimes it is drinkable, sometimes it is not. Some people use water from their wells, and some drink only bottled water. Unfiltered water can pose a threat to the human health. For example, water from the well can be contaminated by organisms that seep in from the ground, while in cities and towns the public water supply may be clean when it comes to bacteria and parasites, but it is often full of chemicals, especially chlorine. 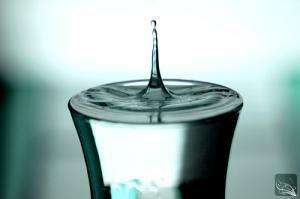 Microorganisms found in drinking water can be very dangerous. E. coli are bacteria that cause colibacillosis, Kommabacillus can cause cholera and certain amoebae cause diphtheria, and so on. Water can also contain heavy metals. Although their amount in the water is usually very low, when they are taken into the body they cannot be eliminated like other harmful substances, they accumulate and overtime they can cause significant problems, like heavy metal poisoning. Lead, which is one of heavy metals, can cause problems to the nervous system, reproductive disorders, gastrointestinal problems and kidney failure. Unfiltered water can be harmful not only for drinking, but for other uses too. For example, using low quality or contaminated water for showering or bathing can expose the body to toxins that enter through skin, and in addition, the chlorine from tap water dries and damages both the skin and the hair. It is clear that unfiltered water harbors many dangers, but fortunately today there are many different options for those who want their water to be safe. Today everyone can choose a water filtering system that suits their needs and their financial situation. There are filters that can be attached to every faucet in the house, from the bathroom to the kitchen. There are also filtering systems that filter the water in a household before it reaches the piping inside the house, so there is no need to install one at each faucet. One popular option for filtering drinking water is water filter pitcher. These pitchers come in different sizes and usually with a set of spare filters. The water filtered this way is not only safer but it also tastes much better. Filters use different methods to purify the water, from filtering the small particles, disinfection, ozone, reverse osmosis, mechanical pressure and others. It is clear that there are many options for water filtering, and some of them are really affordable, so there is no reason why anyone should continue to expose themselves and their families to harmful organisms and substances that are, unfortunately, found in many waters. Is boling a disinfection method?